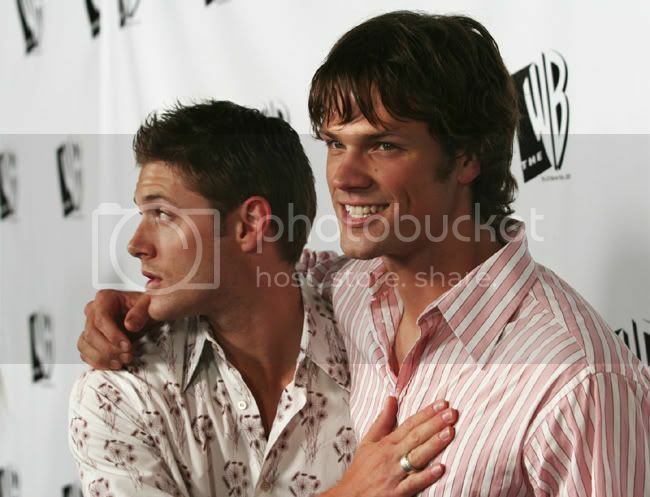 OMG!What a cuttie picspam! 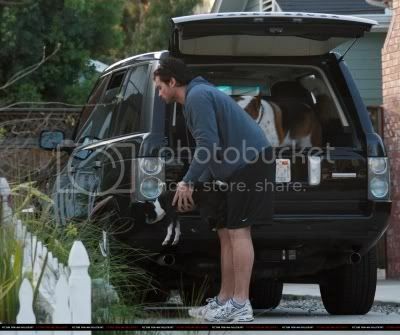 !Does Tom have fourteen dogs?? 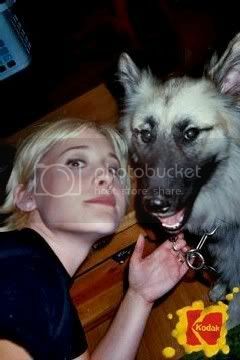 Love KK's smile in this pic!and how sweet she is with her dog! Does Tom have fourteen dogs?? I thought he had four - two pugs, an Akita and a Berenese mountain dog. But maybe there are more. I love the pics of Tom and his "gang"!!! The entire pug fits in Tom's massive hand! Michael looks so happy with his new buddy - he should have named him Clark or Tom though!!! "Irv" was the name of Michael's granddad! not that I am complaining, but does Justin only get pics of him shirtless?? baking with puppies?! not v. hygenic justin bb. but it's okay. i'd still eat those cookies. I can think of better things to do with Justin than bake! What site is Moose looking at? Hee! Yeah, we never get to see Clark's legs on SV! But I still just adore Michael and Irv. And it is so wonderful that he adopted a shelter dog. They're going to have many happy years together ♥ ♥ ♥ And hopefully we'll get lots of Michael & Irv pics! I definitely would NOT complain if Michael and Tom copied Justin's pose either. Justin has a very sensible attitude towards displaying his bod! 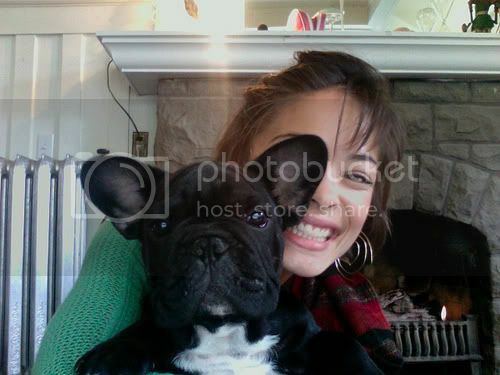 Tom's dog #2 is actually a Boston Terrier. I know the pug's name is Cooke, and apparently the big dog is named after a state or city. 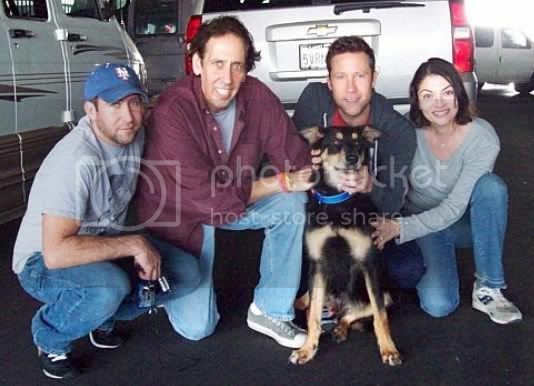 And good for Michael, adopting a rescue dog! Ah, thanks! And he doesn't actually have 14 dogs, does he? I'm assuming that was an Al Gough exaggeration! Irv has a cameo in the short film Michael released yesterday - he's a real cutie! And I tried to make an icon of Michael (and why the HELL did I type Kip at first?) and Irv and I couldn't get it to come out from that picture, the newest one where Michael is posing with him. Dumb GIMP! And that last pic? We need to see Michael in a pose like that. Yes, we do. Heh, well as I can't make icons at all, I'm sure you did a better job than I would have! His chest is so gorgeous in "Taken Seriously." *fixated* Every time the bra nearly came off...Wow. You can see Glover and his dogs here. I was searching around for pics of Glover with dogs and concluded he must not have any! That's a completely precious photo. Everyone to the Dog Park! Awwww CUTE!!! Yay for Michael! Bout time he got around to that! I always suspected he was a big dog person and Irv fits the bill completely. Irv is a very lucky pooch and I wish him and Michael all the best! *wants to cuddle your icon* That's one of your pups, yes? I always suspected he was a big dog person and Irv fits the bill completely. Irv is a very lucky pooch and I wish him and Michael all the best! I hope we get many more adorable pics of Michael & Irv! Aw, puppy love! Also, we would all be much happier if all our favourite celebrities took to Justin Hartley's kind of photoshoots! They're all so cute with their puppies. I'm glad Michael has joined the crowed and with a shelter dog, no less! There needs to be a big SV meet-up at the dog park! 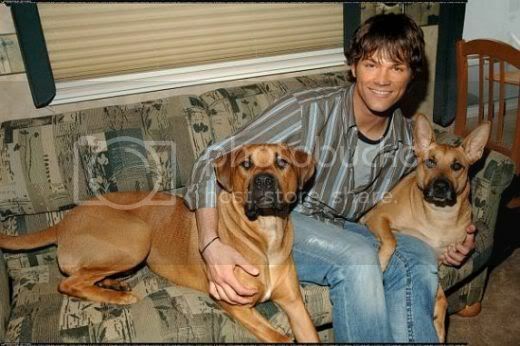 Apparently, he took a picture of Jensen and the dogs napping together....which hopefully will find its way to the web someday! and Justin's omnipresent shirtlessness is one of the very few positives that could sustain me trough the rest of this season of SV. Heh, it was the sole redeeming aspect of Toxic!